high quality chicken coops & poultry supplies. Autumn is here - Chooks are generally starting to take a break from laying for a wee rest and probably looking a tad scruffy due to moulting time - how about giving them a bit of a boost and help them through their moult. 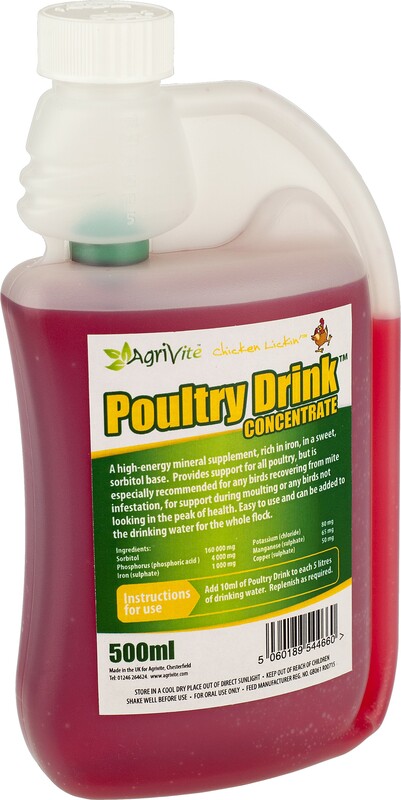 Our all new Poultry Drink is a high energy mineral supplement that is rich in iron in a sweet tasting sorbitol base. Poultry Drink provides all round support for poultry but is especially recommended for birds recovering from mite infestation, for support during moulting or for any birds not looking in the peak of health. Easy to use, economical and can be added to the drinking water for the whole flock.